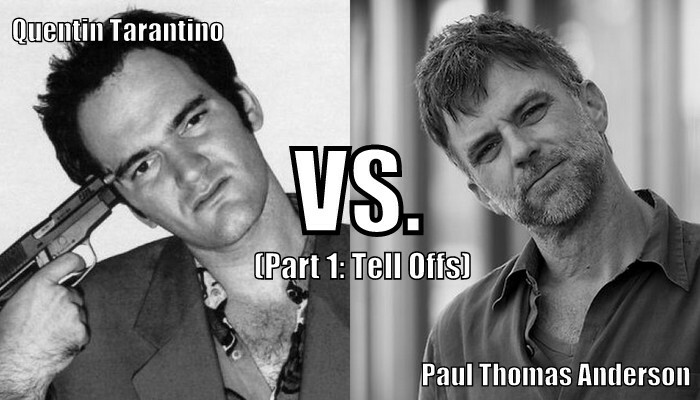 Home / Posts Tagged "paul thomas anderson"
Like our former Face/Off directors, Wes Anderson and Richard Linklater, Paul Thomas Anderson and Quentin Tarantino have a thing for reusing actors. Let’s find out who reuses their talent of choice better. Anderson Filmography: Cigarettes & Coffee, Hard Eight, Boogie Nights, Magnolia. 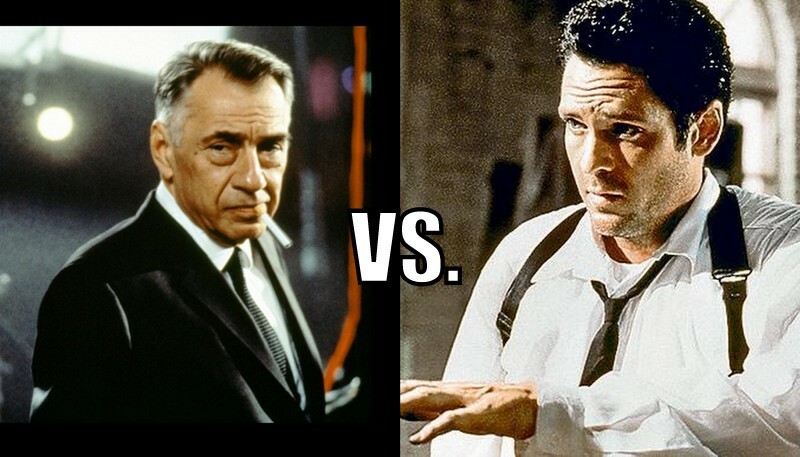 Anderson landed the talent of Philip Baker Hall in his debut short Cigarettes & Coffee, garnering them both a cult following that amassed even more following Magnolia, and Hall’s role as game show host Jimmy Gator. Michael Madsen is most notably remembered as Mr. Blonde in Reservoir Dogs, the guy responsible for the iconic “ear scene,” in which he also dances nonchalantly to Stealers Wheel. There’s no denying Madsen’s roles in Tarantino films are quite typically the lovable badass villain, as proven by his role as Budd in the Kill Bill series. Anderson’s work has always been deep in story and subject matter, but at one point in his career, his work went from deep to really f-ing heavy, around the time that There Will Be Blood came out. Following the two and a half hour oil-drilling epic drama came The Master, where Joaquin Phoenix plays Freddie, a drifter haunted by inner demons and PTSD who follows a leader of a religious movement. 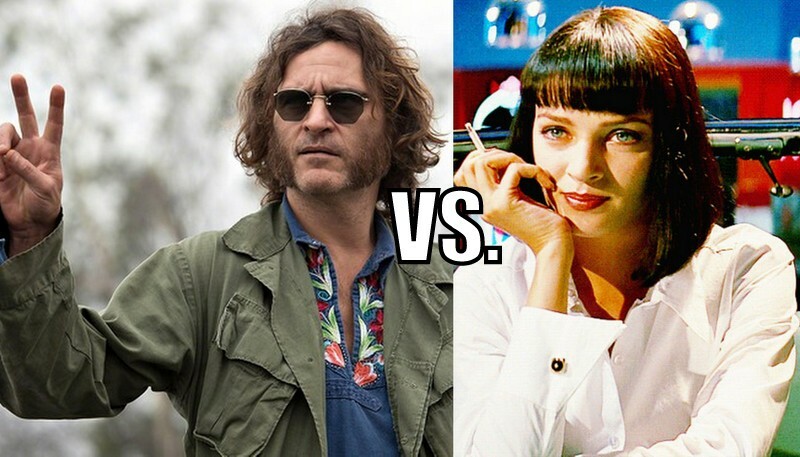 Uma Thurman’s roles as Beatrix Kiddo in the Kill Bill series and Mia Wallace in Pulp Fiction are both pretty much legendary in cinema. With rumors of a third installment to the Kill Bill series in the works, there’s just no battle here! 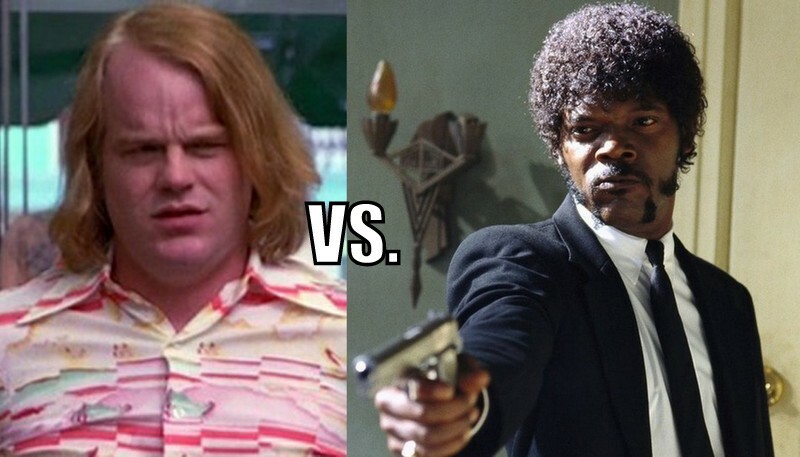 This is a very difficult round, due to the incredible talent of both Philip Seymour Hoffman and Samuel L. Jackson. While Jackson is a Tarantino staple, known for his righteousness, filthy yet quotable lines and just general badassity, Hoffman is just as worthy from his proven versatility and range in Anderson’s films alone.Between confessing unrequited love for Dirk in Boogie Nights or leading people into an inner circle of unconventional beliefs as a religious leader in The Master, Hoffman gives incredible, real performances. RIP Philip Seymour Hoffman!